After weeks of speculation that Kim Kardashian and Kanye West are expecting a third child via surrogate, Kardashian has now confirmed the baby news herself. In an extended supertease for season 14 of "Keeping Up With the Kardashians," Kardashian spills the beans while on the phone with sister Khloe Kardashian. "What happens every time I say, 'Guess what?'" Kim asks. "The person's pregnant?" Khloe asks before Kim announces, "We're having a baby!" Kardashian has been open about her interest in surrogacy since she was told it's not safe for her to carry a third child. 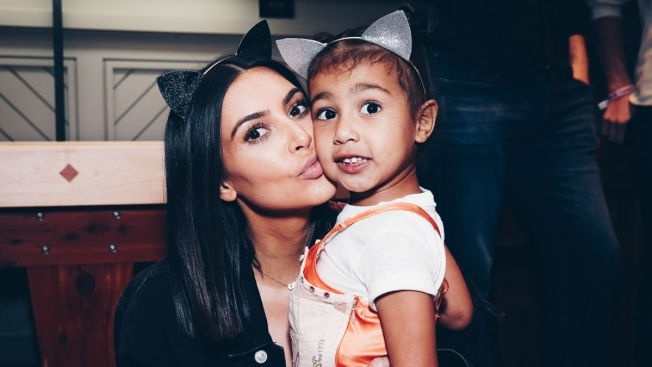 "I'm definitely leaning more towards I want to try...After talking to Kanye, I think I always knew that surrogacy was an option, but I didn't think it was that realistic of an option, and now I feel like that's my reality. I feel like surrogacy really is the only other option for me," Kardashian said on KUWTK in April.